Leighla Day Wins The Eggleston Club’s Local and State Poetry Contests. Home|Leighla Day Wins The Eggleston Club’s Local and State Poetry Contests. Leighla wrote a poem that brings attention to situations that many women find themselves in at some point in their lives. The title of her poem is “Just A Girl”. She said she got her motivation from current events in social media. Leighla is currently a Junior at SCHS and plans to study Psychology after she graduates. Please tell her congratulations when you see her! 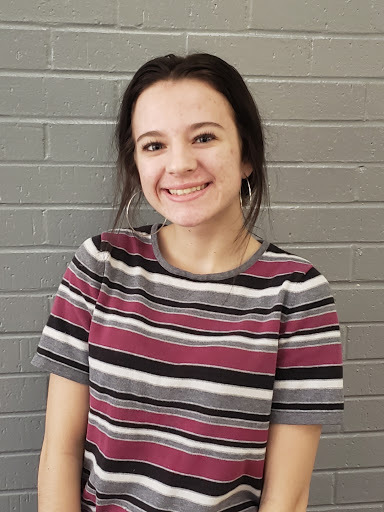 By Angela Grubbs| 2019-04-12T15:49:41-04:00	April 12th, 2019|Switzerland County High School, Switzerland County School Corporation|Comments Off on Leighla Day Wins The Eggleston Club’s Local and State Poetry Contests.